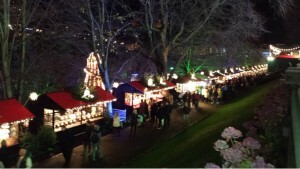 Walking through Edinburgh’s city centre on a Friday evening in December, it sprung into life as the Christmas Market opened. Incredibly busy with people moving from stall to stall and especially busy around my favorite stall selling mulled wine. I took the photo whilst drinking a lovely warm mulled wine and standing at the steps of the top tier of stalls just beside the Scott Monument. So what’s this got to do with moisture, the theme of my blog? Not a lot actually but being back in Edinburgh brings lots of memories of when I used to live there but also reminds me of a comment made by Professor John Sweeney of Maynooth University, Ireland, who was a member of the Intergovernmental Panel on Climate Change and kind enough to review my eBook. John liked my “folksie” style which I really appreciated because that was exactly my intention in hoping to explain the technical aspects of humidity and its implications in an easy to read way. Coming back to John’s comments and the link to Edinburgh you have to first appreciate that there is good humoured rivalry and banter that goes on between Edinburgh and Glasgow people. In a section of my book I wrote about the cold and damp that Edinburgh can experience in winter. I mention that maybe this was in part responsible for me getting sinusitis quite a lot when I was young and so implying that there could be links with humidity and human health. John’s comment on this was that as a Glaswegian he had no sympathy at all for a man from Edinburgh with sinusitis! Thanks for that John. Welcome to my world of moisture. This entry was posted in My Moisture Health, Uncategorized and tagged Christmas Market, Edinburgh, Glasgow, IPCC on December 24, 2015 by PeterMoir.